INCIDENT: An antisemitic course is being offered at UCR, which violates a UC policy prohibiting political indoctrination in the classroom. The course title, according to the syllabus, is “Palestine & Israel: Settler-Colonialism and Apartheid.” On the UCR website it is titled, “Palestinian Voices” – a clear attempt to obfuscate the extreme anti-Israel bias of the course by re-titling it for the R’Course web page. The course is being taught by a leader of Students for Justice in Palestine (SJP). 4/16/15 – AMCHA’S RESPONSE: AMCHA Initiative coordinated a coalition letter of 20 groups to Chancellor Wilcox asking him to investigate if the course violates course policy and if so, to eliminate it. The letter stated, “The course schedule is filled with egregiously one-sided, anti-Israel readings and films that falsely paint Israel as a settler-colonial and apartheid state, hold Israel to a double standard to which no other democratic country is held, vilify and demonize Israel and Israel’s supporters, and argue for an end to the Jewish state; these tropes are all considered anti-Semitic according to the U.S. State Department’s definition of antisemitism.” The groups highlighted that the course syllabus strongly suggests the instructor will be engaged in political indoctrination, in clear violation of University policy. The groups included: Accuracy in Academia, AMCHA Initiative, Americans for Peace and Tolerance, California Association of Scholars, Committee for Accuracy in Middle East Reporting in America (CAMERA), CUFI on Campus, David Horowitz Freedom Center, Endowment for Middle East Truth (EMET), Hasbara Fellowships, Institute for Black Solidarity with Israel, National Conference on Jewish Affairs, Proclaiming Justice to the Nations, Scholars for Peace in the Middle East, Simon Wiesenthal Center, StandWithUs, Students and Parents Against Campus Anti-Semitism, The Lawfare Project, Training and Education About the Middle East (T.E.A.M. ), Verity Educate, Zionist Organization of America. 6/3/15 – UNIVERSITY RESPONSE: The UC Office of the President has requested that the Riverside campus perform a detailed review of the student-facilitated “R’Course” titled “Palestinian Voices” (offered this spring quarter). This memo and the accompanying appendices provide such a review – focusing on the question of whether applicable University policies have been followed. While the “Palestinian Voices” course addresses a controversial topic (one where reasonable people can disagree), the course was approved via the regular application of professional faculty/Senate review standards and this course did not violate UC policies including The Regents’ policy on course content. INCIDENT: The 83-member joint council of UAW 2865 – representing all of the TA’s, tutors and readers at the 9 teaching campuses of the University of California –issued a statement outlining the union’s intent to support the anti-Israel and antisemitic Boycott, Divestment and Sanctions (BDS) movement, and to seek a full-membership vote on the statement this coming year. The nine teaching campuses include UC Berkeley, UC Davis, UC Irvine, UC Los Angeles, UC Merced, UC Riverside, UC Santa Barbara, UC Santa Cruz, and UC San Diego. In the statement, the union exclaimed the need to “educate” others on the “settler-colonial” and “apartheid” nature of the Jewish state. 8/12/14 – AMCHA’S RESPONSE: AMCHA Initiative coordinated a coalition letter to UC President Napolitano which included eleven other groups – Americans for Peace and Tolerance, Brandeis Center for Human Rights Under Law, Committee for Accuracy in Middle East Reporting in America, Hasbara Fellowships, Institute for Black Solidarity with Israel, Proclaiming Justice to the Nations, Scholars for Peace in the Middle East, Simon Wiesenthal Center, StandWithUs, The Lawfare Project and Zionist Organization of America. The letter asked President Napolitano to ensure antisemitic propaganda and BDS are not brought into UC classrooms by the Union of Student Workers. 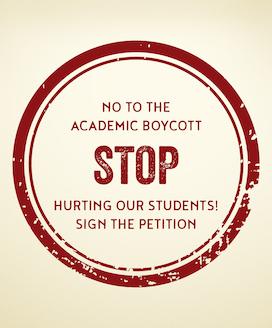 9/8/14 – UC SYSTEM, PROVOST DORR: Provost Dorr sends a letter to all 9 Chancellors, which states, “Attached is a letter from Tammi Benjamin, AMCHA Initiative, raising concerns about academic student employees (ASE) supporting the Boycott, Divestment and Sanctions (BDS) movement in classrooms. In the last several weeks, we have received over a hundred emails similar to Ms. Benjamin’s. You may have received such inquiries as well. Since we have had queries from your campuses about this issue, I am writing to clarify that the University’s position as to the conduct of ASEs in the classroom is rooted in its academic policies, including the following…” The letter further listed the Policy on Course Content, Management and Academic Rights, Academic Freedom, and the Faculty Code of Conduct. 12/8/14 – AMCHA & 21 ORGANIZATIONS PROACTIVELY WRITE UC PRESIDENT NAPOLITANO AND UC PROVOST DORR: Following the UAW 2865 Boycott, Divestment and Sanctions (BDS) vote on December 4 2014, 22 education, civil rights and Jewish advocacy groups wrote to inquire of UC President Napolitano and UC Provost Dorr whether University of California (UC) policies that prohibit UAW 2865 graduate student instructors from promoting BDS and anti-Israel, and often anti-Semitic, propaganda in the classroom also apply to UC faculty. 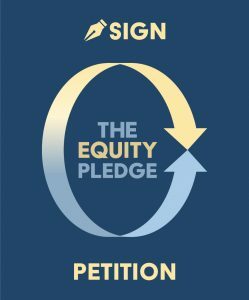 INCIDENT: Three University of California campuses appear to have violated university policy and state law when they used taxpayer dollars to sponsor events featuring Omar Barghouti, the founder and most vocal advocate of the Palestinian Campaign for the Academic and Cultural Boycott of Israel, on three UC campuses – UC Riverside, UCLA, and UC Davis. At UC Riverside, the UC Riverside College of Humanities and Social Sciences (CHASS) and Ethnic Studies Department co-sponsored a talk by Omar Barghouti entitled “Palestine’s South Africa moment: relative justice, not relative humans.” Despite Barghouti being neither a university professor nor an academic, his status as founder of the Palestinian Campaign for the Academic and Cultural Boycott of Israel has garnered him support from many on UCR’s faculty who also support the academic boycott of Israel, and the departments have even offered official course credit to students for attending this boycott event. 1/13/14 – RABBI SINGER, RABBI COHN AND AMCHA INITIATIVE’S RESPONSE: AMCHA Initiative along with Rabbi Singer and Rabbi Cohn, begins by alerting Chancellor Kim A. Wilcox, notifying him of the pro-boycott speaker, the official course credit offered to students for attending the talk, the endorsement of this event by UC Riverside departments, the concentration of pro-boycott faculty in support of the event, the public proclamation of such support by said faculty, and recent public statements on academic boycott from UC leaders. 1/14/14 – UC RIVERSIDE’S RESPONSE: Chancellor Wilcox dismisses AMCHA’s claims. 1/14/14 –AMCHA’S RESPONSE: AMCHA Initiative responds to UC Riverside Chancellor Wilcox, asking how he can support the boycott event, specifically in light of UC President Janet Napolitano’s denouncement of academic boycotts. AMCHA presents state laws and UC policies, showing violations, and asking Wilcox how UCR can condone such an event given the policies not allowing such partisan activities. 1/17/14 – RABBI SINGER, RABBI COHN AND AMCHA INITIATIVE’S RESPONSE: Rabbi Singer and Rabbi Cohn and AMCHA write to UC Riverside Chancellor Wilcox, highlighting the propagandistic and partisan content of the event. They highlight California Government Code 8314 and California Education Code 92000 as being violated, and ask Wilcox about intended steps to prevent further violations. 1/22/14 –AMCHA’S RESPONSE: AMCHA Initiative went before the UC Regents to speak about this issue. 2/1/2014 –AMCHA’S RESPONSE: After numerous requests to administrators were ignored, AMCHA orchestrated a petition to reach out to legislators for help. 4/23/14 – AMCHA’S RESPONSE: More than 1,000 California residents signed the petition asking legislators to help stop University of California (UC) and California State University (CSU) faculty from using taxpayer dollars for antisemitism. AMCHA delivered the signed petition along with a letter to the legislators.